In a time when race and religion don't separate people, but extra powers and mutated characteristics do, two longtime friends, Professor Charles Xavier (Patrick Stewart) and Magneto (Ian McKellen) part ways, only to become rivals over the issue of how much patience they should have with "normal" people. Living lives that scare most humans lacking the "X-factor" (a special power such as telekinesis), they fight over changing the general population into mutants. Xavier decides to help mutants in a special school while waiting for humanity to be more accepting, while Magneto opts to change all "normal" people into mutants in order to create a mutant-only world. Leading a group of four powerful X-Men (and women) to rescue one lost girl (the mutant Rogue, played by Anna Paquin)--and the entire population of New York--Xavier recruits a new member to their group: Logan (Hugh Jackman), better known as Wolverine, joins the team with much reluctance, only to prove very valuable to the rescue effort. Each member of the X-Men has mastered their special gift--the ability to create a storm (Storm, played by Halle Berry), telekinesis (Dr. Jean Grey, played by Famke Janssen), eyesight carrying laserlike destructive power (Cyclops, played by James Marsden), the ability to heal nearly any wound he sustains (Wolverine, played by Hugh Jackman). The chemistry among these four sets the stage for some expert teamwork--and some hidden romance. The mutants' ensemble work drives the action sequences, such as in a train station battle with Magneto's crew--including Sabertooth (Tyler Mane), Toad (Ray Park), and Mystique (Rebecca Romijn-Stamos)--that unleashes a lot of destruction, thanks to the striking special effects. So many movies from comics drag out the story, veer into disbelief, lack storyline, storyflow, or believability, or leave so many holes and gaps in the story that you wish you'd just read the comics and shot the director and writers of the movie. Not so with X-Men! For once, just the right touch! Not overplayed, not underplayed, told us enough to make the story believable, didn't mire down in fantastical minutae, gave lots of nods to fans of the comics while making a movie that is appealing to most. Bryan Singer has created a great opening to the X-Men movie franchise. The key to this type of film is not to play it too comic bookish and also not to play it too seriously. Singer does a good job on both counts. With great casting and a quickly moving plot line the X-Men movie is a pleasure to watch and as Singer puts it in his commentary a good trailer for the next movie in the series. There are many characters in the X-Men universe but the film wisely introduces the viewer to a small group of them who will be essential to the story. In the America of the not too distant future a debate rages as to whether mutants (those with special powers) should be made to register with the government. To Magneto (Sir Ian McKellen) this is just too close to his childhood which was spent in a Polish concentration camp. He has gathered his Brotherhood of Mutants in order to battle this registration scheme. He intends to use a special radiation emitting device which will turn all into mutants. His group includes Sabretooth (Tyler Mane) the Toad (Ray Park) and the shapeshifting Mystique (Rebecca Romijn). Opposing the Brotherhood's Plans id Professor Charles Xavier (Patrick Stewart) who believes in a peaceful existence between mutants and the humans. He runs a school for mutant children that preaches inclusion rather than fear and exclusion. His star students who teach at his Academy have not rejoined the world. They are the X-Men. The X-Men that are featured are the weather controlling Storm (Halle Berry), the lasar eyed Cyclops (James Marsden) and Jean Grey (Famke Janssen). Into his group comes a teen who cannot touch others, Rogue (Anna Paquin) and a man who has been equipped with claw like weapons named Wolverine (Hugh Jackman). To give away more of the story would ruin the fun. This is the best type of action movie both intelligent and quick moving. One can only hope that future movies in the series will follow the same outline. I viewed this film in the special two-disc edition that includes the director commentary, an extended viewing mode with 17 incorporated branching featurettes and a number of special features introduced by Singer on a second disc. First I should say that I have never read the comic books and rented this movie hoping it would be a fun adventure. The concept is a good one. I like the idea of mutants with different abilities banding together in different camps to harm or help the rest of humanity. Magneto has the possibility of being a sympathetic, realistic bad guy because of his past (shown at the beginning of the movie) experiences. That is about all I can think of to say that's good. The movie starts slow, with lots of exposition, when you are introduced to the characters, you are not given any reason to particularly care about them, and it doesn't get any better from there. The bottom line is, the screenplay is terrible. It drags, there is never really much of a sense of suspense, and the characters are not presented in a way that one can pull for them, with the possible exception of Patrick Stewart's character, but he isn't in most of the action scenes. It's a shame, because with a great concept and some well-known actors, I would hope they would have better material to work with. THE EDITION YOU WANT "IF" YOU HAVEN'T GOTTEN IT YET! I bought this DVD for my teenage children but I found myself as caught up as they were with this very tight, character-driven action thriller. Director Bryan Singer gave this comic book adventure a very serious and believable tone which was complemented by the special effects designed to further the story rather than to give us headaches. This comic-book-derived epic literally appeals to people of all ages and backgrounds. It speaks to the sense of estrangement within us all, that part that wishes for a place where acceptance and caring can be found and depended on. In this case that place is exemplified by the "Xavier School for Gifted Children". On this basis, the film touches a broad audience and the resultant enthusiasm is no fluke. SPECIFIC FEATURES OF PURCHASING X-MEN 1.5 - If you already have this on DVD you need not go to the extra expense of adding this edition to your collection. However, if you have it on video only, the difference in picture and sound quality is striking and worth the purchase price to have this movie on DVD. The specific features that require this separate release are basically very interesting fillers, but it does have interviews with most of the principal cast and Stan Lee. Historical material put into featurettes and thematically organized is of some value if you are really interested or were a fan in the 1960s or 70s [like me] and need a refresher course on the X-Men without re-reading the comics. Probably my favorite DVD feature on the 1.5 version is the "Enhanced Viewing Mode", which provides a seamless and convenient way to see the deleted or edited scenes as well as 17 featurettes without stopping the film and at a relevant point in the movie. Of course if you don't want to be distracted from the normal playing of the film you need not engage this feature or you can choose which detours you wish to take. This is very nicely done. It can, however, be distracting if it is your first viewing. I needs me some Kelsey!!! It was a lot better than I thought it would be and has definitely raised the bar for all other Marvel movies to come,in every aspect of film making. Sure it was different in someways than the book, but it could stand alone from them and more importantly it was good. As much as I liked the cheesy 70's and 80's Marvel movies(like Dr. Strange starring Peter Wooten in the title roll, thank you very much), Marvel movies to come will have to measure up to this one. And that's a good thing because sometimes Marvel doesn't place as much emphasis on story telling quality as it does on marketing. But they made one stupendous,unforgivable error. They left out Hank McCoy,aka The Beast! Woe betide them! I'm looking forward to a sequal, and I'll really enjoy it more if it contains the only X-Man who can fight crime in his swim trunks,differentiate between Keats & Yeats,type his doctoral thesis with his toes, the thinking man's Tarzan...........The Bombastic BEAST!!! Based on the heroes from Marvel comics, X-Men is a wonderful sci-fi film, which brings to the screen the struggle for supremacy between two rival groups of mutants while an undeclared state of war with the humans looms in the background. Hugh Jackman, Patrick Stewart, Ian McKellen, Famke Janssen and Halle Berry (BOTH of whom are GORGEOUS! ), and the rest of the cast, have truly outdone themselves with their performances, which are outstanding to say the least! All the actors, without exceptions, give it their 100% and it really shows (the chemistry is AMAZING)! Very well written and very well presented, it allows for a highly entertaining movie that can be watched over and over again! The setting, the plot, the dialogues and the music are all out of this world! In short, X-Men is a movie definitely worth watching and one to seriously consider adding to your movie collection (if you haven't done so already)! Great movie--Absolutely Stunning Sound and Picture! I watched this movie for the first time without ever having read any of the X-Men comic books-in fact, I don't like comic books at all. So, needless to say, I was given the opportunity to watch this film from a purely objective standpoint: I had no expectations of what this movie should or should not entail. And, to my surprise, I was extremely delighted with this DVD for a few specific reasons. First and foremost, the Dolby Digital and DTS 5.1 soundtracks are remarkable. Anybody who has a decent surround sound system-set up correctly!! !-will marvel at the amazing acoustical environments created by the sound team of X-Men; I suspect that THX played a large part in the success of mixing a soundtrack in which every sound effect is mixed with such careful attention to detail that one wonders how such perfection can be possible-I wish every movie's soundtrack would be so immaculate. As if the sound wasn't enough to sell me on X-Men, the picture quality is outstanding as well-far exceeding that of a typical DVD. Again, I'm sure THX played an important role in the video transfer process. And, technical aspects aside, the movie was written and executed very well. I think the X-Men team did an excellent job of taking a highly unrealistic story line and turning it into a movie in which the plot and characters evolve without the sense of corniness often associated with films of this nature. The first X-Men film is not really perfect, but in terms of it's timing and what it meant might be coming down the pike with regards to cinematic interpretations of comic books (specifically Marvel comics) it is pretty darn close to perfect. Lets face it, this is the harbinger of the comic book movie age that has, like it or not, made some exciting and high-grossing films. I personally think the majority of comic book movies fail and could care less about how much money they make, but X-Men is a bit more than that. It's a very good movie too. I didn't get a chance to see this in theaters but that actually served the film well in terms of how I viewed the hype. I didn't care because so many did...that's the old punk in me in guess. So I waited and received the film as an early Christmas gift the following year. I actually watched it Christmas eve and found it to be incredibly refreshing and enjoyable. It begins by showing us a young boy being separated from his parents at a German concentration camp in Poland. His parents are going into the camp and will be killed. The boy is desperate to save them and as the German soldiers hold him down he reaches out and somehow begins to bend the metal gates that close in his parents before being struck down by the [...] of one of the soldiers' guns. The boy is Eric Lehnsherr, one of the great all-time Marvel comic villains known as Magneto. In one fell swoop, Bryan Singer does something that I've always been glad X-Men writers did consistently, and that is allow us to sympathize with this villain. We are then introduced to the primary plot of a modern day Senator bent on the granting the government the ability to force registration of all mutants. Then it shows how telepathic and mind manipulating mutant Charles Xavier and his old friend and rival Magneto fundamentally disagree on how mutants as a race must react to this oncoming repression. This is followed by the introduction to our primary protagonists; Rogue, a young girl who drains the life of all people her skin makes contact with, and Wolverine, an enhanced mutant with the ability to heal himself enough that his body endured somking of skeletal replacement surgery. His skeleton is made of an indestructible metal and he also has claws made of this metal that break through his skin anytime he wants to kill someone. Great characters that Anna Paquin and Hugh Jackman are able to portray well here. Again, Singer introduces these characters with relatable depth. In short, Magneto wants to destroy humanity and the X-Men must stop him in an environment where they are not appreciated in the least by the public. Singer attempts to make sociological insights on those terms in addition to bringing great character depth. When you consider the number of characters and the length of the movie, these are not easy tasks to say the least. Then again, when watching the Usual Suspects it's quite obvious Singer has a knack for just this sort of thing. I can't beleive this was at all based on the comic. Where do I even begin? This movie has taken all of the good elements out of the comic and replaced it with utter crap. As far as the casting goes Wolverine probably got the best treatment. Jean and Cyclops were also good though they did not get the screen time they deserved. Who in the world came up with Halle Berry as Storm? She can't act her way out of a paper bag. Not to mention the bad accent. If she could not keep it all the way through she should not have done it. Anna Paquin was also a horrible idea. What happened to the southern accent that Rouge was famous for? First off, I'm not going to say anything about the quality of the video or anything, because I'm not concerned with things like that. I got X-Men and X-Men2, along with another movie, at a Used Sale, all for about $10. I had never seen any of these movies, and, as a fan of the recent animated series, X-Men Evolution, I decided to give the movies a try. And maybe my expectations were too high, but I thought that they were both horrific movies. The acting was okay. Hugh Jackman was an excellent choice for Wolverine, and he did a nice job. Ian McKellen also did very well as Magneto, I think. The rest of the acting was mediocre to upsetting. Not only that, the characters barely had any personality. All the viewer knows about Jean Grey is that she's smart and pretty and nice. Scott Summers (Cyclopes) loves Jean. (That's really the only emotion that he is allowed to show.) Rogue is a little girl frightened of her powers. Logan (Wolverine) is a tough cookie. Everything the movie tells us about them is just simple, stereotypical, on-the-surface facts. The characters have no individual personality. They all seem to have the same sense of humor, say the same things... blah blah blah. So the script was terrible. The one thing I can give you is that the story was great, but credit to that goes to the comic. So. I'll have to take that compliment back. There was absolutely nothing good about this movie. After several attempts to bring movies based on Marvel Comics heroic characters to the big screen failed, "Captain America", "The Punisher" (Dolph Lungdren's version from 1992), and 1994's lost in limbo "Fantastic Four", not to mention numerous legal battles and the fact that technologically speaking Hollywood wasn't ready, it seemed as if all hope was lost that comic fans would get to see their icons on the big screen. Then a miracle occured, and an ambitious, young director named Bryan Singer (director of "The Usual Suspects") approached 20th Century Fox studios to direct a feature length film based on the comic book exploits of everyone's favorite group of mutants, the X-Men. Fox, to everyone's surprise, gave the film the ok to begin production, after assembling an A-list cast that includes; Patrick Stewart, Hugh Jackman, Halle Berry, Famke Janssen, and Ian McKellan, it was finally time to do justice to Marvel Comics' legendary team. "X-Men" focuses on one of the X-Men's most popular characters, Wolverine (a then unknown Hugh Jackman), as he struggles to find himself and help a young runaway named Rogue (Anna Paquin). As Wolverine and Rogue join up with this team of mutants known as the X-Men, who led by Professor Xavier (Patrick Stewart) believe that humans and mutants can co-exist peacefully, a group of renegade mutants led by Magneto (Ian McKellan), who don't feel the same way towards humans, are attempting to mutate everyone on Earth into mutants so Magneto may lead the world into a mutant utopian society. However, Magneto's methods are not quite human friendly, and the X-Men must stop Magneto before it's too late. Once the credits rolled at the end of the movie, I knew, and everyone else knew that this awesome movie would open the gates and allow future comic book movies to be made once again, and not just Marvel comics, but DC Comics (who hadn't had a movie since "Batman & Robin") as well. "X-Men" with Bryan Singer's help, proved that comic book movies are big business as long as the source material is treated with respect and done properly from a more realistic approach. "X-Men" was a very well written, directed, and acted movie that gave comic book fans and audiences in general something that everyone could enjoy. For comic book fans there were some minor gripes about changes made to some of the characters origins, but nothing significant enough to take away from how great this movie was, or what it would mean for other comic book characters being brought to life on the big screen. This fantastic sci-fi/action film made in 2000 is a good versus evil super hero type. The movie opens with a scene out of World War II that shows people who are born different from the ruling society, being treated cruely. One of these people turns out to be the villianous character, Magneto (Ian McKellen). Magneto holds a grudge against mankind and has an accomplice, Mystique (Rebecca Romijn) who can change into many shapes and forms. We are introduced to Professor Xavier (Patrick Stewart)who runs a school for mutants that teaches them to harness their powers for the good of mankind. These mutants possess extraordinary and dangerous powers which are the result of genetic mutations. Logan/Wolverine (Hugh Jackman) grows metal weapons from his fists. Cyclops (James Marsden) unleashes bolts of energy from his eyes. Storm (Halle Berry) can manipulate the weather. Rogue (Annna Paquin) absorbs the life force of anyone she touches. But these mutants must protect those who fear them as Magneto reveals his plan for the future! I wanted to see all the X Men movies as my friend is currently working on the prequel, "Wolverine" starring Hugh Jackman in Australia and I promised him I would view them all. This film has enough action to keep you on the edge of your seat. The special effects are amazing! The sound on the DVD is so realistic on a home theater system that it had my heart pounding! I was thoroughly amazed with this movie. It is only 104 minutes, but packs so much action you're never bored. Watch it, you'll be totally amazed! X-Men has proven itself as a movie that doesn't get old, no matter how many times it is seen. I have watched this movie many times and it still isn't boring, that is the best thing that can be said about movie. That it has a long life and can still be enjoyed years after it's release, and X-Men definitely fits that category. But, what is not to like about this movie? The casting for it is perfect, Ian McKellen makes a great Magneto and Patrick Stewart makes a perfect Professor Charles Xavier. The same things can be said for everyone in the movie and who they were cast as in the film. It is done so perfectly, it adds to the story and makes me wonder if this movie would have been as powerful as it is if other people were cast in this film. Let's not forget the special effects that are used in this movie. That is definitely eye candy for sure. The mutant powers look great when they are used in this movie and look realistic. It is really cool to see Wolverine's adamantium claws first slowly come out in the bar. The story doesn't follow the comics as well as I had hoped they would. The biggest example I could see in the film is that Wolverine and Sabertooth don't know each other prior to their meeting in this movie, but in the comic, they have known each other for years. Despite the lack of being 100% like the comic, this movie makes a story of it's own and the previous story isn't really needed. It is so compelling in the way it is told, it can be forgiven for its very small mistakes for sure. This is definitely a have to see movie. If you haven't by now, you need to! MST3K Fans Rejoice -- Rifftrax is Here! On the shadowy periphery of society lives a secret organization of mutants - despised, deformed and loathed, they live in fear of a nation that holds them in contempt. They are comic book fans. And one of their favorites is X-Men, which tells the tale of a secret organization headed by Professor Charles Xavier, master of the mysterious brain device known as Cerebro and ideological enemy of the metal-manipulating villain Magneto. It's all very neat-o. 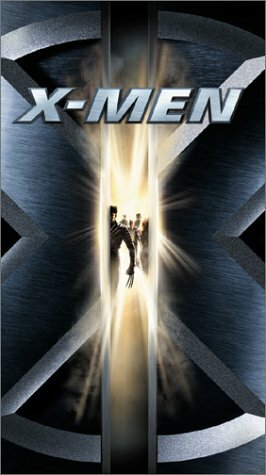 Featuring the extremely British performances of Patrick Stewart (Robin Hood: Men in Tights) and Sir Ian McKellan (Last Action Hero), X-Men tries its altogether best to maintain some shred of dignity even while adults with names like Cyclops and Storm leap around in spandex suits fighting other adults named Toad and Magneto. There's a lot to work with, so Mike enlisted the help of his MST3K co-star Bill Corbett for this hilarious RiffTrax! Great first movie rendition of a comic! X-Men is the best comic strip adaptation I've seen to date. It has all the excitement and special effects that you'd expect, together with a class of acting that you don't see in many other films of this type. The story concerns the two factions of the X-Men. X-Men are mutations from normal humans. One is lead by Professor Xavier (Patrick Stewart) and the other by Magneto (Sir Ian McKellen). Xavier believes the X-Men can work with humans. Magneto wants to destroy humanity and in a brilliant opening scene (shot in black & white) set during the 2nd world war we see he has some justification for this view. Patrick Stewart and in particular Ian McKellan are the main reasons to see this film. They add a certain gravitas to the proceedings that takes the movie to a different level. Having said that Hugh Jackman and the rest of the cast are all good. It always helps to have a good director and Bryan Singer (The Usual Suspects) does a great job. There are some excellent set pieces and the film is kept to a sensible length. This is well worth buying at the right price as it does hold up to repeated viewings. I saw a picture on a TV guide (I believe) in 2000, with a picture of a man with three blades coming out of his hand. At first, I thought it was an ad for the newest Nightmare On Elm Street installment, until I noticed that it was Hugh Jackman in the upcoming movie "The X-Men". My mind gave the famous line of Emily Litella: "Well, that makes it completely different. Never mind." After all, I had read and loved the X-Men comics when I was younger, and knew enough to know that Jackman was playing the Wolverine. This movie was as good as I could imagine it, and even better. It had the special effects and action you would expect in a comic book adaptation. But the movie appealed to the mind as much as to the eyes and nerves. This movie (and actually, the whole series) deals with the issue of prejudice and how to deal with it. In these movies, it is mutants that are the victims of this prejudice. The story line says it is a spurt of evolution; there is nothing to scientifically verify this. Nevertheless, the mutants are feared and persecuted. There are mutant protagonists, led by Charles Xavier (Patrick Stewart), and mutant antagonists, led by Magneto (Ian McKellen). The difference between them is the response to the persecution. The protagonists seek to live quietly and peaceably with humans, having Xavier's school as a place for protection and refuge. The antagonists are ready to wage war with the persecutors. In this first installment, Magneto's goal is to transform humans into mutants, which he does to a Senator who wants to have mutants registered (not unlike the Jews in Nazi Germany, a comparison made in the first scene of the movie). The problem is that humans are unable to withstand the change and end up dying. I avoid detailed plot descriptions in my reviews so I spoil as few surprises as possible. I will say, though, that Magneto survives the first movie, not unlike Darth Vader surviving in the Star Wars movies. One thing I like about the movie, though, is that Magneto is not the type of villain you want to see killed. Magneto and Xavier are not true enemies, but adversaries who would admit the other is really a friend. I am the type of person who would rather see a villain reformed than executed. X-Men! X-Men! You impressed yet another customer! Of the three X-Men movies, this is my favorite. At the time of its release, it was fresh, new and ground breaking with its action scenes and special effects. The story line also stayed true to the comic book (somewhat), which is very rare in comic book adaptations. Don't watch the follow-up films until you watch the first one. It really is the jump-on point. Both comic book enthusiasts and non-comic book readers alike will like this film. Highly recommended flick in my book. Check it out. A little disappointing but OK. Didn't do the mutants' reputation very much good overall with the general public. My least favorite of the three X-Men movies. "X-Men" is based on the Marvel comic-book series and hit the big screen in 2000. Directed by Bryan Singer, the film stars - amongst others - Hugh Jackman, Patrick Stewart, Ian McKellen, Anna Paquin, Famke Janssen, James Marsden, Halle Berry and Rebecca Romijn. Mutants are seen as the next step in humankind's evolution and born with a slightly different genetic makeup - a variation that generally brings a superpower with it. You won't necessarily be able to tell just by looking at someone they're a mutant, however - in many cases, mutants look just like normal humans. In fact, only three of the characters in the film - Toad, Mystique and Sabretooth - look anyway different. In most cases, a mutant won't even know that they are a mutant until they reach puberty - which is generally when their powers 'switch on'. Throw in an unhealthy dose of widespread anti-mutant sentiment, and an over-complicated adolescence gets even worse. On their way out of town, Rogue and Wolverine are attacked by Sabretooth - a member of the Brotherhood of Mutants, led my Magneto. Luckily, two X-Men called Storm and Cyclops arrive to help, and take the pair back to their base in New York State. The initial assumption is that Magneto wanted Wolverine for some reason. The X-Men's leader - Professor Charles Xavier, the world's most powerful telepath and a one-time friend of Magneto's - wants to find out why. He asks Wolverine agrees to stay a little while and, in return, the Prof will try to help Logan remember his past. Rogue, meanwhile, is enrolled at the Professor's School for Gifted Youngsters. The school could be viewed as a cover of sorts : the Professor's abilities are not public knowledge, though the 'gifted youngsters' are actually mutants. The purpose of the school is to train young mutants how to properly - and responsibly - control and use their powers. The Professor also believes humans and mutants can live peacefully, side-by-side - Magneto, on the other hand, disagrees.